Whether you're into history or not, the influence of Ancient Rome in modern Western Society is inescapable. From the letters of the Latin alphabet, to names of the months or the foundations of the modern legal system - echoes of Rome are found everywhere in daily life. HBO's multi million dollar series, simply titled "Rome", was a British-Italian-American co-production which ran for two seasons. Although the phrase 'Motion Picture Television' first popped up around the time of The X-Files, there is no more apt a description for this lavish series. Every set is beautiful, costuming approaching authentic, with some strong performances by a great cast. Behind the scenes are the likes of highly experienced writer/directors Michael Apted and John Milius, both with a passion for bringing the "real Rome" to audiences. Using modern film making techniques, epic battles are depicted as such - adding to the movie like feel of the series. The HBO series commenced in late 2005 and garnered numerous awards across its two season run. 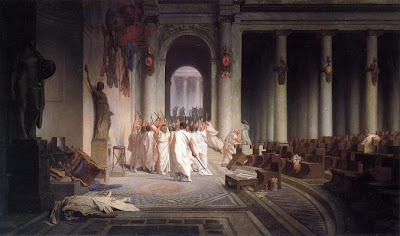 The first season focused on the Civil War and the end of the Republic - namely the rise to power of the most famous of Romans, Julius Caesar(pronounced "kaisar" in Latin). The series starts with the conquest of Gaul and ends with his brutal assassination at the hands of disenfranchised senators. Whilst many watching would have been aware of Caesar's ultimate fate - seeing it unfold over the series was an extraordinary experience. There were historical inaccuracies some might gripe at, but for the most part Rome sticks with a good approximation of the facts. Using a storytelling mode not unlike that used in Akira Kurosawa's Hidden Fortress(1958), the events are related primarily through two subordinate characters - in this case Titus Pullo and Lucius Vorenus. These names were lifted directly from Julius Caesar's own accounts of the Gallic Campaign, the Commentarii De Bello Gallico. A significant degree of creative license has been employed by the writers of the show, embroiling these two in some of the most significant events in history. My favourite character in the series(and perhaps in Roman History as well), was Marcus Tullius Cicero. Here was a man whose mastery of words ruined careers and enraged his opponents - leading to his eventual demise. Cicero is artfully played by David Bamber, who is a bit younger than the actual Cicero during the period depicted. As the Second Season of Rome commences, we observe the turmoil that gripped the city after the death of Julius Caesar. After some years of tumult, Rome settled on the Second Triumvirate - effectively splitting its governorship between Mark Antony, Marcus Lepidus, and Octavian. Julius Caesar was Octavian's great-uncle, but in accordance with Roman tradition, adopted him as a son and named him his heir. So strong was the love of the people for Caesar, that in order to quell their unrest, the Senate quickly moved to declare Caesar a deity. Luckily for them, a daylight visible comet was seen for 7 days in the same month of Caesars birth date in 44BCE. In a remarkable case of spin doctoring, this was interpreted as the ascent of Caesar into the heavens. 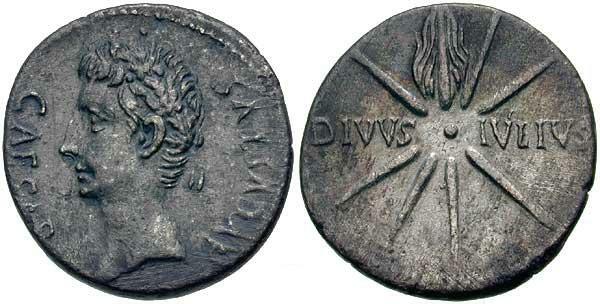 Hence, Caesar became a God, and Octavian then became known as "Divi Filius" (Son of The Divine). It is quite interesting to note that the Christians, who would coalesce into a major cult a hundred years hence, eventually ascribed an analogous title to their messiah too. It can also be be noted that Jesus of Nazareth is widely believed to have been born during the reign of the "Divi Filius" of Rome. "Caesar's Comet" appeared in Roman coinage at the time, as well as other similar occurrences used by the State to attribute the appearance of astronomical phenomena as portents to suit the power of the day. Without meandering into the historical counterbalances of Rome versus Christianity, let us track back to the TV series...! The second season focuses on the rise of Octavianus Caesar, who later went on to become the first Emperor of Rome, Augustus. This character was depicted as an adolescent in Season One and was played by Max Pirkis. In Season 2, Simon Woods plays the older Triumvir Octavianus perfectly. Known to be a clever statesman rather than a warrior, this is reflected well in Woods' performance. 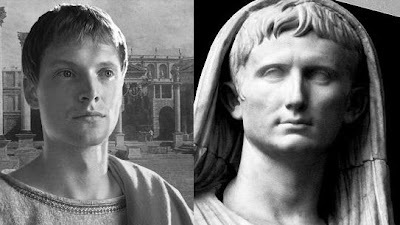 Woods' likeness to the Octavianus/Augustus depicted in Roman Sculpture is pretty uncanny. The DVD releases of Rome are now available in 2 season box set, though individual season collections were also released. The DVD discs contain interactive special features - where you can find out more about the history of the events and characters depicted. The series was cancelled at the end of the second season, with the exorbitant cost of producing the series being touted as one of the major factors. There has been some discussion by series creator Bruno Heller that a follow up movie is in the works, but there has been no confirmation yet. I personally think the series stopped at the right time. Even with the rushed feel of Series 2 in some parts, there is a sense of closure as the beginning of Augustus reign marks a new milestone for Rome as an Empire, and Europe as a whole. Some of Augustus' original vision for Europe still resonates to this day with the formation of The European Union - a topic explored in greater depth in Richard Holland's interesting book - Augustus, Godfather of Europe. This is a fabulous series. If you haven't seen it yet... do so! 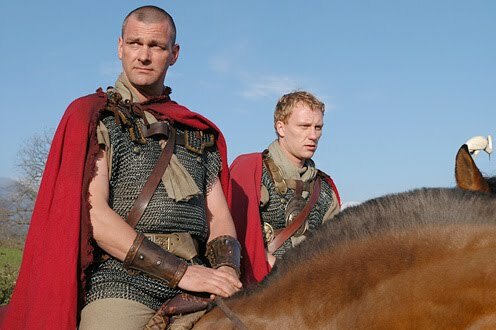 I loved the series Rome. Yes there were liberties taken with historical events, but that was in order to tell a compelling narrative. If you listen to the director's/historical consultants commentary on the DVDs you'll learn a lot about that period of time. My favorite performer was Polly Walker's portrayal of Atia. She was brilliant. For those who haven't seen the series, I recommend watching the DVD with the "All Roads Lead to Rome" setting. It gives "subtitle-like" comments while the show is running to describe historical aspects of the story that are being depicted. It's a wonderful series and one that I enjoy watching again and again. 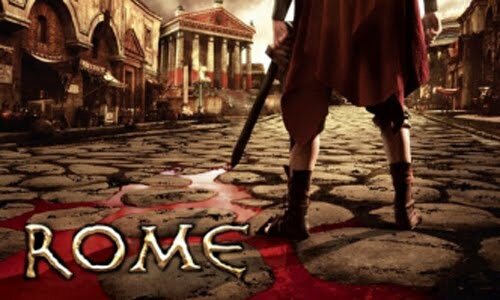 Rome is one of my favorite TV show.I never misses even a single episode of this show.I watch Rome Episodes online. I too am enamored with this series. As much as I love Woods' take on Octavian, David Bamber's Cicero really impresses - especially his death scene. 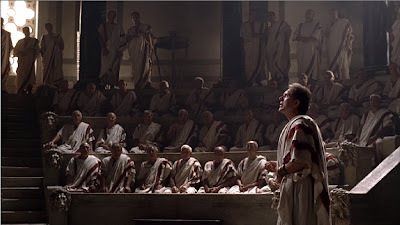 I believe Rome has now also been released on bluray - I wish I had a bluray player! @Linda - Polly was great indeed. Added a lot to the show, though we know extremely little about the real Atia. Marrying into the Equestrian class and living in the small town of Velitrae - we can only speculate at her reaction to how she was depicted 2 millenia later ! Hi Juliette!! Your first post at 3PP! I'm amazed you noticed David Bamber in there Juliette, most ladies watching that adaptation were too busy swooning over Mr Darcy! Hell's Bell's, Juliette, the OLD BBC adaptation of P&P?! To me the Colin-Firth-wet-shirt 1995 version is the NEW one, though I accept there's been a lot of Austen dramatisation water under the bridge since then. I was actually in the real BBC 'old' (1979-80) version - a bit studio-bound, admittedly, but a fine and true script by Fay Weldon, and some aficionados still rate it. Our budget was probably about 10% of the 1995 one. I played Mr Bingley, though these days I'm more involved in fine art than acting - not necessarily my choice, but the world is less interested in old(ish) actors than it used to be. By the way, there are actors still around (and even working) who were in the BBCTV version half a generation earlier still - 1967! Mr Niyazi, 3PP is a wonder only recently found - it's almost as exciting as discovering a fine picture everyone else has missed. Informed, insightful, intelligent and beautifully written. Thank you. I happened upon you while having a quick look for information about the Da Vinci (or not - but I'm pretty sure it is) Christ as Salvator Mundi. A fascinated hour with the piece on its iconography & provenance led on to La Bella Pricipessa, and thence all over the place.....three hours later I'm still here, damn you. Many thanks for that amazing feedback Osmund - receiving such comments always makes the effort put into this endeavour worthwhile! This was one of my earlier posts, where I was still finding my voice and subject matter - but throughout I have stuck to writing about things I am passionate or at least very much excited about! If you enjoyed this post, you should visit Juliette's blog too, Pop Classics one of my favorite spots on the web! I am so glad to see this blog post since I LOVED/LOVE Rome and own the box set. I probably watch the series at least once or twice per year and I enjoyed going through and comparing/contrasting the representations in the series with actual history. The show really did pay a lot of attention to detail, right down to death masks and household worship within the Religio. I'm always glad to meet another fan of the series and make it a point to get new converts when I meet people who haven't seen it.